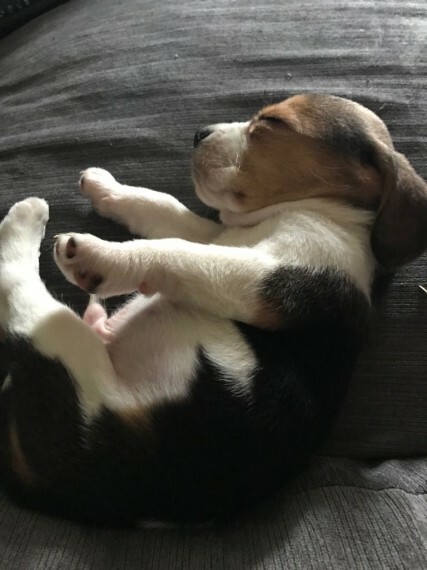 Beautiful playful mini beagle puppies for sale. Males & Females available. Very well socialized pups looking for there forever home. There really coming on well really good eaters been around children cats & others dogs they get on really well with all off the above. Love cuddles & falling asleep in your arms in the evening. Micro chipped with 5 weeks free insurance, Wormed & flead to date, Plus health checked, 5* homes only. Please call / text / email for more information or to arrange a viewing.